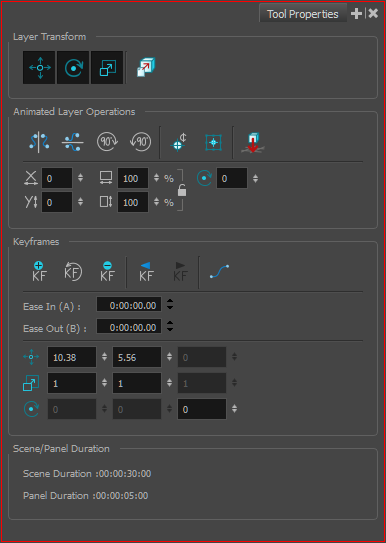 For tasks related to this tool, see Animating Layers on page 1. In the Tools toolbar, click the Layer Transform button. Rotates the selection in 90 degree increments clockwise. Rotates the selection in 90 degree increments counter clockwise. NOTE: This field is only available when working in 2D mode.